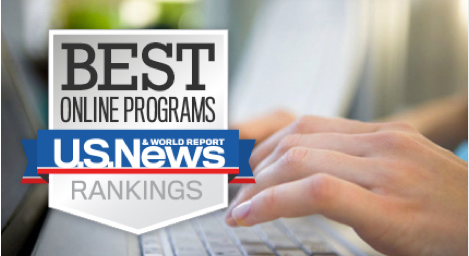 HAYS, Kan. -- For a fifth consecutive year, Fort Hays State University has placed programs in the top echelon of U.S. News and World Report's annual rankings of online education. That would be all five years that U.S. News and World Report has conducted a rating of online education programs. The news magazine has long published one of the most popular general rankings of traditional, on-campus college and university education. The latest assessment of online programs was released early today. In the latest assessment, Fort Hays State was tied for 24th in the nation -- No. 1 in Kansas -- for its online bachelor programs and was tied for 91st in the nation -- No. 1 in Kansas -- for its online Master of Business Administration programs. The university's graduate programs in education and nursing were each No. 2 in Kansas, coming in, respectively, tied for 48th and 95th nationally. According to a recent report by the American Council on Education, the U.S. Department of Education counts approximately 4,200 colleges and universities. "Our programs have been ranked among the top in the nation for all five years of the U.S. News and World Report's online ratings," said Dennis King, assistant vice president for student affairs and director of the Virtual College. "Of the four categories in which we offer an education, we had the two top-ranked programs in Kansas, and in the other two we were second in the state, and we were the only Kansas university that was best in the state in two categories," he said. "It shows the quality, reputation and consistency in the education we're offering students," he continued. "The faculty and staff at Fort Hays State can be proud of this accomplishment." U.S. News has eight categories in its online educational rankings. The other four, not offered by the FHSU Virtual College, are graduate business, non-M.B.A.; graduate engineering; graduate criminal justice; and graduate computer information technology. An undergraduate computer science program will launch this summer. "Online education is a growing strength at FHSU, and we expect to continue to advance in the rankings and in the number of programs that are ranked," said Dr. Graham Glynn, FHSU provost and vice president of academic affairs. These four programs are among the 27 bachelor's degree programs and 14 graduate programs offered through the FHSU Virtual College, with many emphases available across the range of programs. U.S. News based its bachelor's degree ratings on student engagement, faculty credentials and training, student services and technology, and peer reputation. Student engagement was given the most weight, at 40 percent. The other criteria were each given 20 percent. For the graduate education programs, student engagement again was given the most weight, 35 percent. In that category, student services and technology was given 20 percent, and admissions selectivity, faculty credentials and training, and peer reputation each received a 15-percent weighting. For M.B.A. programs, student engagement was weighted at 28 percent, peer reputation was 25 percent, and 11 percent was given to faculty credentials and training and student services and technology. Nursing programs were evaluated on the basis of student engagement, 20 percent; faculty credentials and training, 25 percent; peer reputation, 20 percent; student services and technology, 15 percent; and admissions selectivity, 10 percent. King noted that, in addition to academic quality, affordability is also a key factor in making FHSU a destination of choice online as well as on-campus. Virtual College tuition rates are the same in state as out of state. For the bachelor's programs, the per-credit-hour cost is $187; for the M.B.A., $400; for graduate education, $251; and for graduate nursing, $251. A few schools have a lower in-state tuition than FHSU's Virtual College rate in a particular category, but none have a lower rate overall.